I’ve never been much of a “joiner.” I’m mostly not into organized, group activities or live events in which you get carried away by emotion (concerts, sports games, etc.). I don’t know why, it’s just a quirk of my personality. But the times I have been involved in group activities have been quite enjoyable and meaningful. I knew I needed more meaningful group activities, so I chose Judaism to help me. I wanted to find out what Judaism did so correctly. It has survived thousands of years and still fosters a strong sense of identity and community, even among people who have virtually nothing in common other than their religion. It is full of seemingly non-sensical rituals and rules that any “reasonable” person would think is absurd (No bacon? Seriously?). For the first, I decided to attend minyan most mornings. A “minyan” is group of 10 men that gather to pray, but more liberal Jewish groups allow women as well. I found a minyan to attend on my way to work which was very convenient. The second thing I did was observe Shabbat every week to various degrees of strictness. The third thing I did was to read a bit of the Talmud every day, which is basically ancient Jewish commentary on the Torah. What I learned was that Judaism is not outdated or silly, that in fact, it is incredibly smart about bringing people together and adding meaning to their lives through collective experiences. Some of these lessons can be extracted and applied to the modern, secular person who doesn’t quite feel they belong anywhere. Read through my posts if you’re curious about what these lessons are. During Shabbat, you’re not supposed to do any work or even “ignite a fire” which means you can’t even turn a light switch on or off. Orthodox Jews often make sure to leave the necessary lights on or off before Shabbat begins. 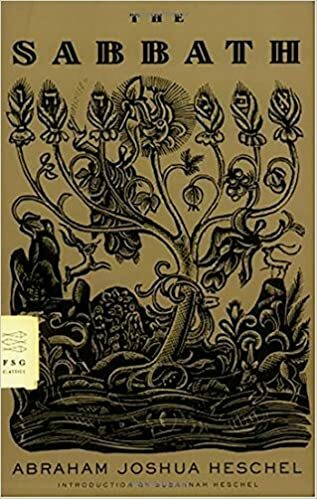 Awesome book by a Jewish theologian that explains why Shabbat (the Sabbath) is so important to Judaism. 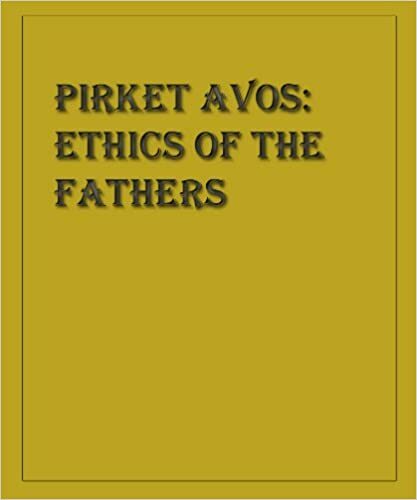 Translated as “Ethics of Our Fathers,” it is ethical and moral commentary by rabbis that date back to 500 BCE. It reveals excellent insight into Jewish moral thinking that are still applicable to modern lives. This is an important memoir of a Jewish psychiatrist’s time in a concentration camp. He focuses primarily on how he helped his fellow captives find meaning in the most terrible circumstances. Though not about Judaism per se, it offers excellent lessons in how meaning is created, not something you just “find within yourself.” It is an activate, deliberate process, not a passive one. In a modern, individualistic society, the general consensus is that people need to find their own ways through live, and that each path is unique to the person following it. Each person needs to go on a sort of quest to find meaning in their lives. The result is that while some people may indeed be successful finding meaning on their own, far more people just end up confused and lonely. Judaism takes the opposite view and says that while you are indeed a unique individual, your search for meaning is a not search at all but rather a shared and communal experience that is cultivated through ritual and tradition. 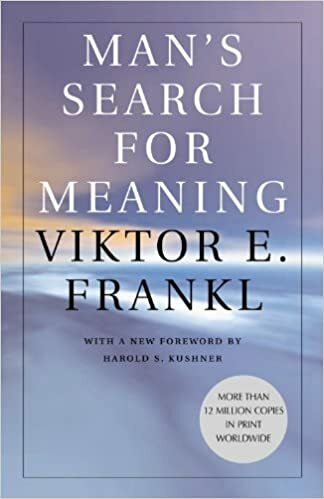 This method of acquiring meaning is robust and time-tested and is a far more fruitful model for any modern person who wants to feel a part of something greater than themselves.